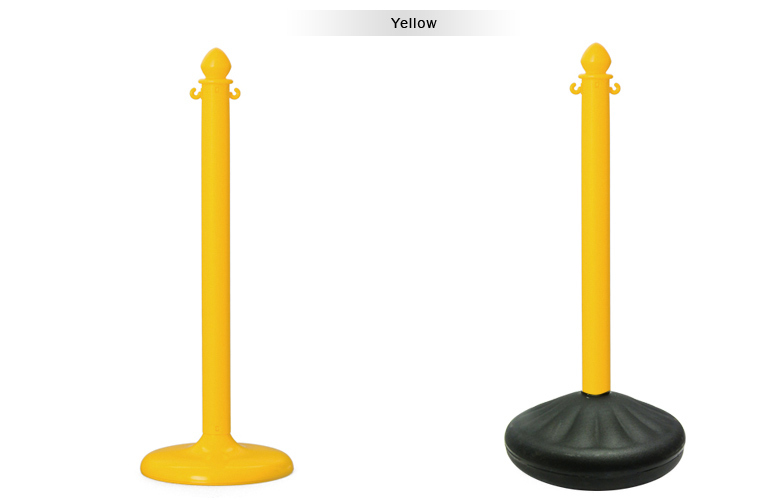 Our simple solution for plastic stanchions is great at either indoor or outdoor uses. With its high quality standard and aesthetic appearance, it basically can accommodate any types of events that require crowd control. 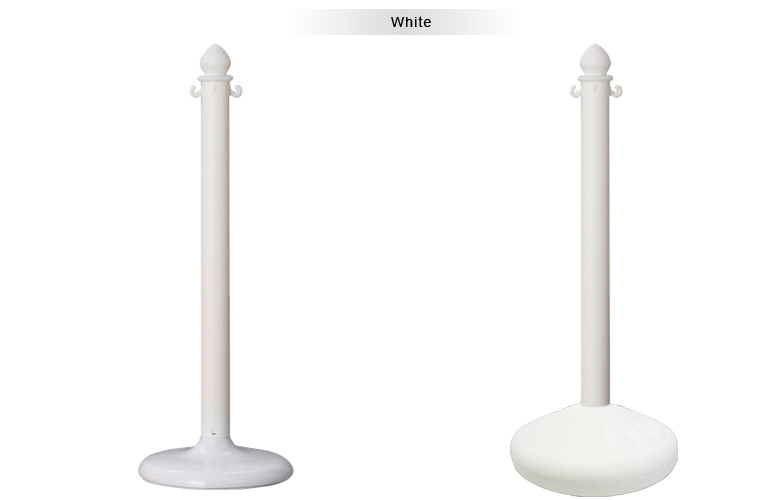 Our durable, professional-grade, and cheap plastic stanchions are extremely versatile, great for either indoor or outdoor use. 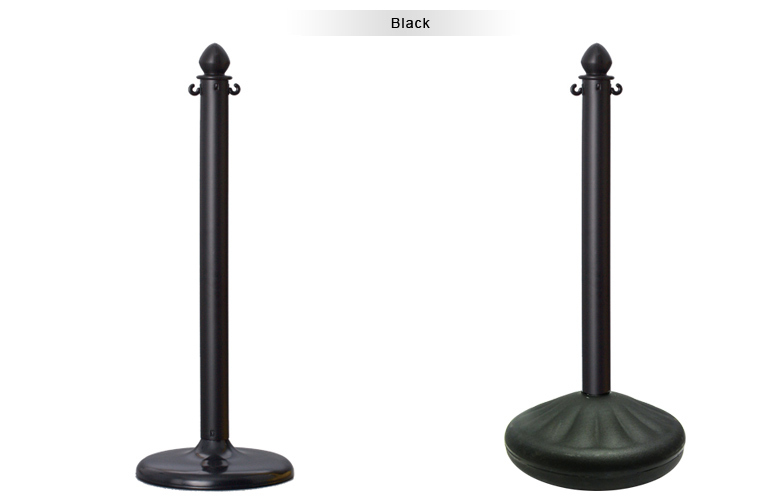 The combination of lightweight stability and classic look make these stanchions perfect for parties, outdoor events, public appearances, and standard crowd control! Our plastic stanchions are light enough for easy set up and removal, but sturdy enough to keep even large crowds in check. Why Choose VIP Crowd Control? Need a quick, easy crowd control solution for your commercial or private event? 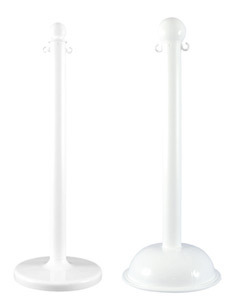 We offer an exclusive line of cheap plastic stanchions that provide excellent crowd control of a heavy duty stanchion with the easy set up and transportability of lightweight plastic. Our stanchions are perfect for indoor and outdoor events, and last much longer than the average plastic stanchion on the market. 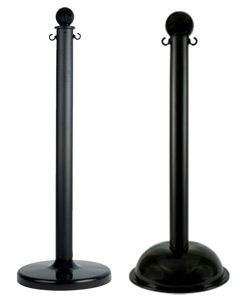 Plastic stanchions offer the same superior crowd control as metal stanchions at a fraction of the weight, making them ideal for events requiring the frequent stanchion removal or replacement. All of our stanchions are available with chains and C-hooks for easy chain attachment and detachment as well as an optional sign holder for formal events. 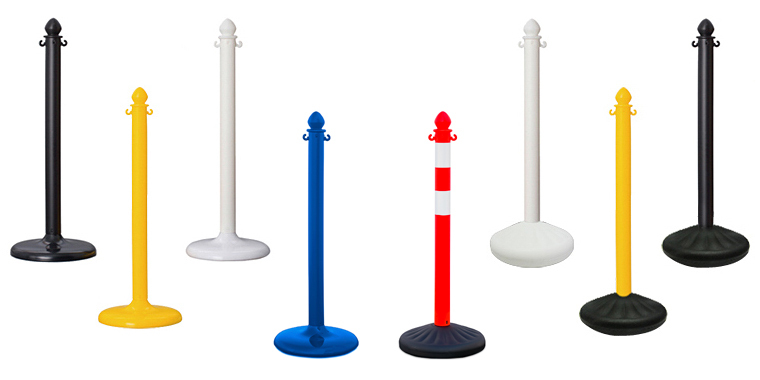 No other type of plastic stanchion can beat the convenience that comes with VIP Crowd Control’s lightweight, professional quality or our unbeatable customer service. We stand behind all of our plastic stanchions and are dedicated to providing all of our customers with the crowd control solutions that they need for their event. All of our employees are ready and willing to help you make the most of your experience. If you need help controlling the crowds today, give us a call! 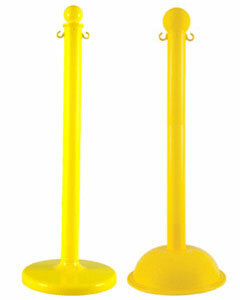 We’ll help you make the most out of your event with the perfect plastic stanchion posts for you. VIP Crowd Control offers same day shipping on all of our stocked products. What are you waiting for? Contact our team today at 888-521-0328. Post Diameter 2 1/2" 2 1/2"
Dome Base Height N/A 4"